Musa Effendi, may Allah sanctify his secret, states: «Many are content with performing their prescribed daily prayer and fasting, supposing themselves to have fulfilled their religious obligations, while this is not enough. Showing mercy towards the creation of Allah Almighty alongside obedience to His commandments is required, and this can only be achieved through self-sacrifice and sincere service. 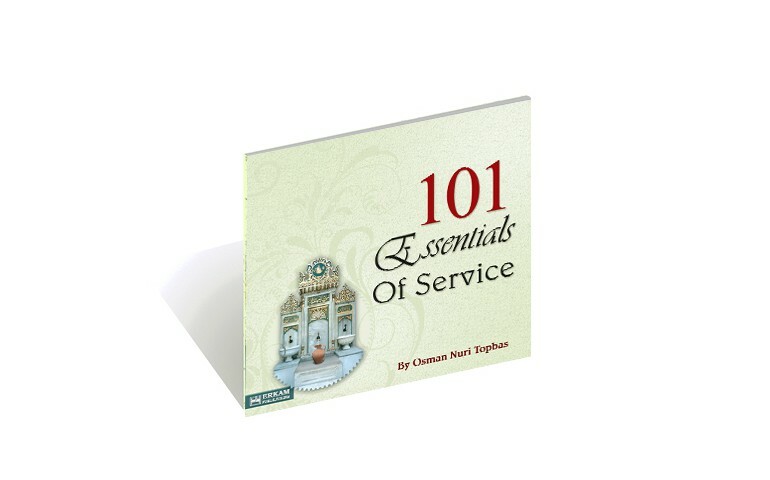 The matters to which every sound-minded Muslim must pay heed after observing the compulsory and shunning the prohibited is their service to and their being of benefit to Islam, their society and all creation, as these are complementary to the religiously mandatory and components of the elevated Sunna of Allah’s Messenger…» In this book Sheikh Osman Nuri Topbaş effendi has detailed with small sentences 101 essentials points of sincere and effective services in the path of worshipping Allah.